Modular Access Systems, LLC offers track pans for spill containment to compliment your loading equipment, loading platforms and loading racks. 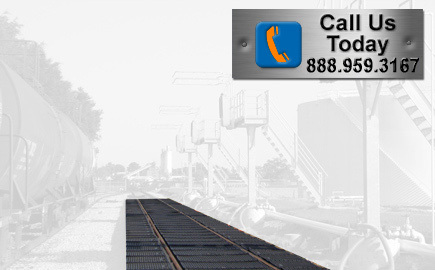 Our pans are designed to fit standard rail car sizes allowing simple installation. Virtually any length can be configured to match your loading equipment. Prevent spills and costly regulation non-compliance. We offer two types of track pans, stainless steel and polymer. These polyethylene track pans are used where corrosive chemicals are loaded or unloaded and are particularly effective in bottom loading applications. In addition to helping you meet federal EPA regulations, they create a flat surface under the rail car for the operator to work. They come in 9 foot modular kits and have interconnecting pipes and cross-drains, allowing you to create a large span of spill containment area. The pans are self-draining and come with all hardware and gaskets for easy installation. These pans are available with optional rain covers. They are a good, cost effective alternative to metal track pans. These track pans address environmental containment of incidental drips and spills. They can be used for liquid or dry bulk loading containment applications. 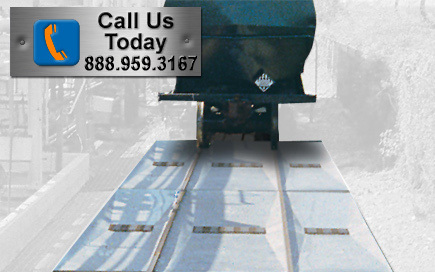 Our track pans are designed for rail and truck loading applications. Combination designs are available. They are constructed of durable metal which provides greater impact resistance. The standard 3'-0 cross-walk provides a sure footed passage across the pan system. These pan systems are designed to provide positive flow to the drain outlet. They are available in aluminum, stainless steel, galvanized steel, or mill steel finishes.